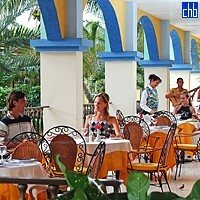 The hotel is located in Varadero - one of the nicest white sand beaches in the world: soft, clean with a gentle breeze. The property is the result of the merger of Sol Club Las Sirenas and Sol Club Coral hotels which are side-by-side and there is an easy access to each place. The Sol Sirenas Coral resort is beautifully presented, surrounded by beautiful tropical gardens and is recommended for families, events and incentives. 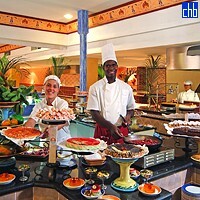 This All Inclusive, 4 star hotel offers 668 rooms. 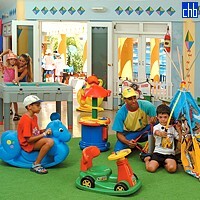 Facilities of the Sol Sirenas Coral include several restaurants offering Mediterranean, Chinese, Italian and Cuban cuisine, large swimming pool (with a section for kids) surrounded by lush vegetation, Jacuzzi, day and night entertainment program, club for kids, water sports and many more. 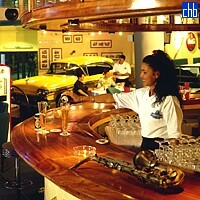 From the hotel you can book various tours. Full day tour to Havana is especially recommended. 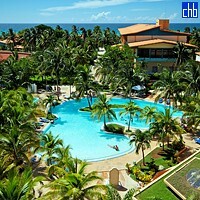 Also the hotel is very close the Varadero Golf Club and therefore is a popular option for those who enjoys playing golf. 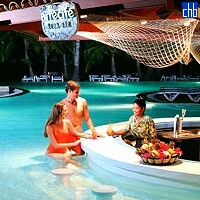 Hotel Sol Sirenas Coral Resort is an ideal spot for the holidays you always dreamed of. The Sirenas section will close for a complete renovation process until 30th September 2019. 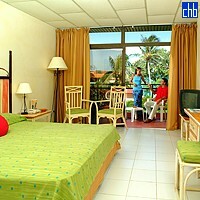 Standard rooms at Sirenas section are very similar to the ones at Coral section but have a magnificent view of the ocean.